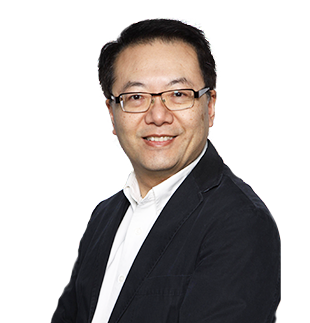 Financial Management | About Eddie | First Financial Controller Inc.
Eddie is the Executive Partner and founder of First Financial Controller, currently managing a dozen companies in Canada and overseas as CFO and senior executive. He held a leadership position for many years at Acer Group, a leading multinational IT provider with revenue reaching US$13 billion in 2013. During his engagement with Acer, Eddie implemented special projects, including business strategy development, downsizing, cost reductions, process reengineering, strategic relocation and inventory management which helped Acer build functional excellence and accelerate growth. Living in Europe for over ten years, Eddie proved the effectiveness of his leadership and ideas with extensive experience in cities across the globe including Toronto, Winnipeg, London, Zurich, Milan, Paris, San Jose, Barcelona, Stockholm, Hong Kong, Taipei, Beijing and Shanghai. Eddie more recently worked with one of Canada’s largest women’s fashion companies, to help it grow and reduce costs. Over a four-year period, he successfully provided financial management and analysis to drive business performance and continuous improvement. Eddie started his career in Mandarin Oriental Hotel Group in 1981. In 1986, he joined a pioneering firm to establish five world-class restaurants in the Shenzhen International Trade Business Centre. These were the first restaurants of their kind in China. In 2000, Eddie worked as a venture capitalist responsible for researching, executing investment opportunities, and provided incubator support for startups in Shanghai and Hong Kong. Helping startups is Eddie's career passion. He has provided free mentoring and support to strengthen their business strategies and re-shape their financial structure. With his past venture and business accelerator experience, Eddie has the skills and enthusiasm to help your business. Eddie pursued his first degree in finance and administration in Hong Kong, where he also subsequently took his MBA. Eddie also obtained an EMBA in Supply Chain from the ETH Swiss Federal Institute of Technology in Zurich. Contact Eddie today to learn how he can provide unique insight into your business.